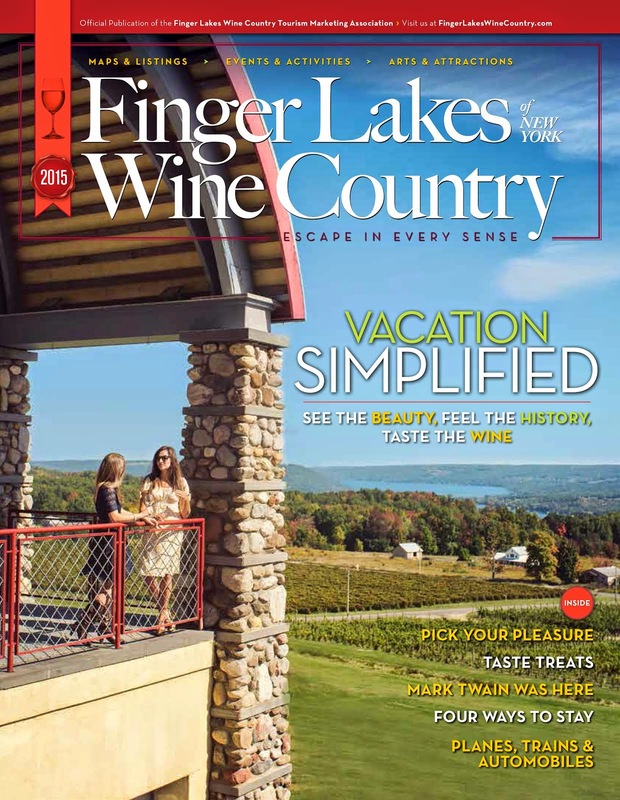 Budget Travel readers voted the Finger Lakes as the most beautiful wine region in the world. We are on a mission to visit places Finger Lakes Wine Country Facebook fans recommend as their favorite "most beautifuls" and share our journey with you. Tour 3 travels take us to Mark Twain Country, stopping at the Mark Twain Study, Clemens Center, Chemung Valley History Museum, Arnot Art Museum, Christmas House, Hill Top Inn, Tanglewood Nature Center and Museum, Harris Hill, National Soaring Museum, Arnot Mall, and Antique Revival. Download the map and itinerary from today's trip. You can also use the Itinerary Builder to build your own custom adventure. Now in our third generation, Michael & Suzanne continue to set the benchmark in the Finger Lakes Region for the finest food and Irish Hospitality around. See where Mark Twain wrote Adventures of Huckleberry Finn and other classics. Feel the Magic at this 1894 Queen Anne Mansion, filled with six rooms of holiday delights and much more! Nine miles of scenic trails in the Finger Lakes area that begin at the Nature Center allow you to experience the natural beauty of the Chemung Valley first-hand. Putt-Putt golf, kiddie rides, arcade, golf driving range, batting cages, go-karts, snack bar, souvenirs, picnic area, swimming, and amazing view of the Chemung River valley. Brochures and information on "Mark Twain Country", Elmira, Horseheads and the surrounding area. Take a walk through time and discover treasures from the past. The Chemung Valley History Museum strives to present history in unique and dynamic ways. Where the designers and decorators shop! A world-class institution of fine art located at 235 Lake Street in Elmira, and open Tuesdays through Saturdays. Arnot Mall is a super-regional shopping center located in the southern tier of New York State just off of I-86, Exit 51A. If youd rather keep your feet on the ground, try out some state of the art, hands-on flight simulators at the National Soaring Museum located directly adjacent to the Soaring Center atop Harris Hill. Located in the central Southern Tier of New York State, the Clemens Center is the region's premier performing arts center with two spectacular performance spaces.